Jesus Himself ordered His disciples to preach the Gospel to all nations and to baptize those who accept the message of the Gospel. In His encounter with Nicodemus (John 3:1-21), Jesus made it clear that baptism was necessary for salvation: "Amen, amen I say to thee, unless a man be born again of water and the Holy Ghost, he cannot enter into the kingdom of God." For Catholics, the sacrament is not a mere formality; it is the very mark of a Christian, because it brings us into new life in Christ. 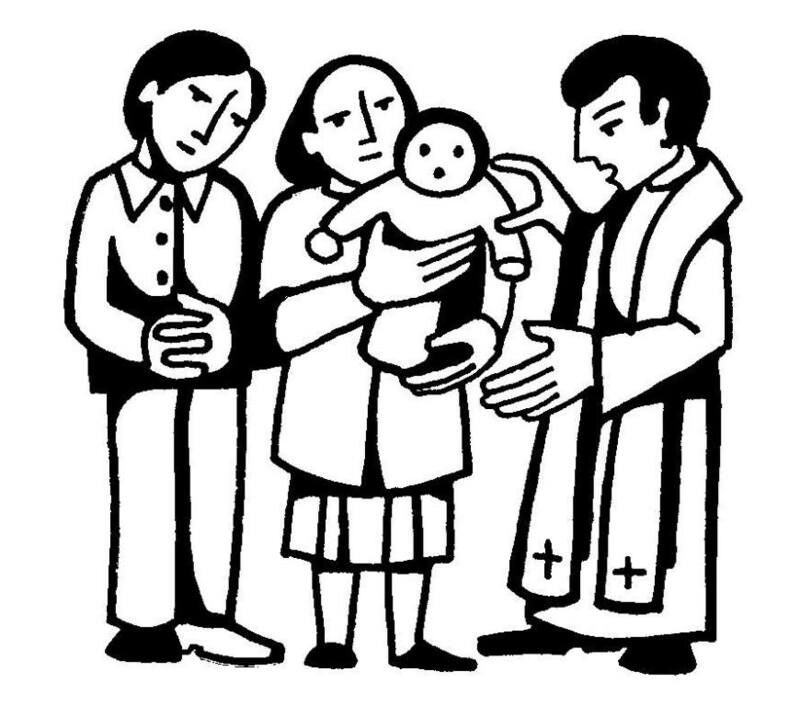 Parents are required to attend one Baptism Session for Parents prior to the Baptism of their first child and pre-registration is required. The session schedule can be found below. Parents are encouraged (not required) to repeat the session if there has been a lapse of 24 months. Baptism Session for Parents class meets in the Resource Room. Below is the current schedule of dates. Please call 217-483-3772 and let the office know the date you are planning to attend. HERE is a list of 25 Ways to be a Great Long-Distance Godparent.